Narre Warren North Luke Donnellan with local residents. 187395_01. The final two-lane section of Narre Warren North Road could be duplicated which will enable drivers to get home sooner and safer. A re-elected Labor Government will invest $38.3 million to widen the 750 metre stretch of road from Fox Road to Belgrave-Hallam Road, doubling the two lanes to four. Narre Warren North Road between Ernst Wanke Road and Fox Road has already been duplicated and the section between the Belgrave-Hallam Road intersection and Heatherton Road is in currently being duplicated. Intersections will be upgraded at Heatherton Road and Ernst Wanke Road, and traffic lights will be installed at the Memorial Drive and Crawly Road intersection. The road will be safer for local pedestrians and cyclists, with the upgrade to include a new shared path with a safety barrier, as well as new street lighting, road signage and landscaping. Planning and pre-construction work will start in 2019, with major works starting in 2020. 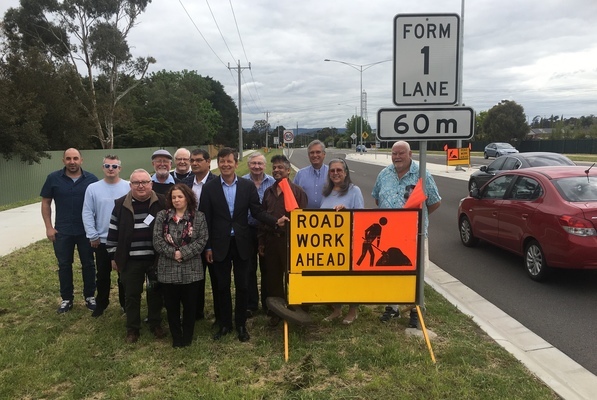 “Anyone who uses Narre Warren North Road will know how badly this duplication is needed,” member for Narre Warren North Luke Donnellan said. 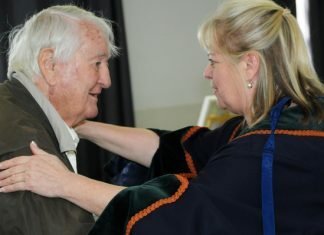 Endeavour Hills resident Juan Carlos Loyola Oam travels along Narre Warren North road daily. “There are around 100 new people coming to this area every month so it’s good to know that the government is doing something,” he said.